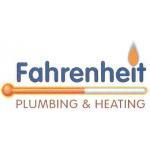 Fahrenheit Plumbing & Heating are experts in the Servicing and Repairs of all types of Boilers. 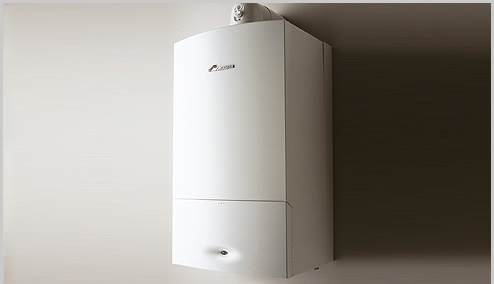 We specialise in Boiler Swaps and Upgrades and we offer 5 yrs warranty on all our Boilers. We are Gas Safe Registered and we undertake all Gas Work and general Plumbing Jobs. We Specialise in Underfloor Heating, Heat Pumps, Renewable Energy, Radiators, Central Heating Systems, Boiler Breakdowns, Sinks, Gas Fires. We can offer a full bathroom installation service including Fitting, Tiling, Plastering and Electrics. 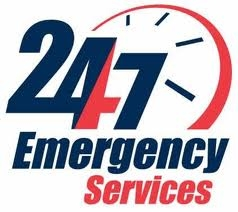 For 24 Hour Emergency Call Out Call Karl: 07790 010321. £400 OFF a New Boiler Installed by Fahrenheit when you Upgrade from a G-rated to a A-rated Boiler!!!! We are committed to providing the best and highest quality service you deserve. With over 20 year experience and excellent workmanship. 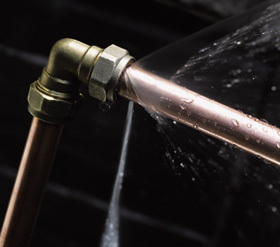 We specialize in all kinds of plumbing, whether its installing a new bathroom, fire ,central heating system, up grades, service and repairs to leaks and pump swaps. Whatever your looking for no job is too big or too small. 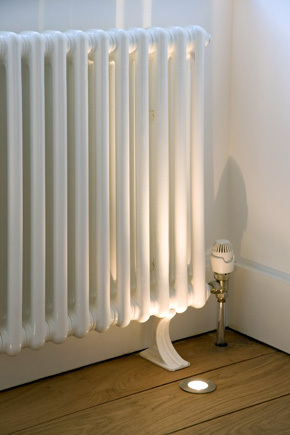 Providing the best in heating, plumbing and bathroom services in and around Nottingham. We offer bathroom installation and design for your home. Whether you want to create more space, make a large family bathroom or to make a wet room we can find something to suit your style and budget. 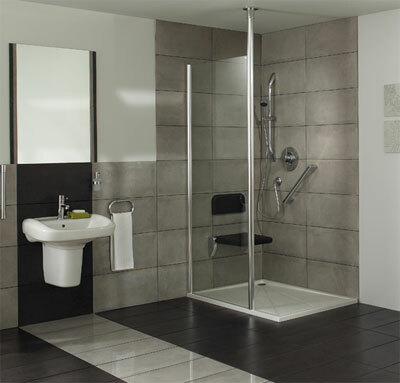 We work with many suppliers and can offer a wide range of suites, showers, wet rooms and bathroom accessories. Our trained staff can provide all the materials and do the plastering, tiling and installing of the equipment. 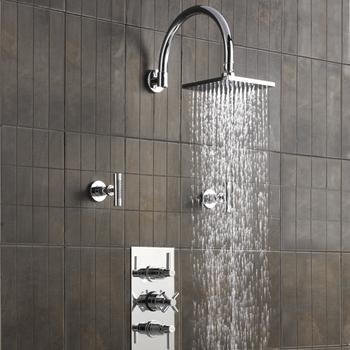 Whether you are looking for a shower that takes up less space or a bath that becomes a feature piece in your bathroom we can make your dream into a reality. 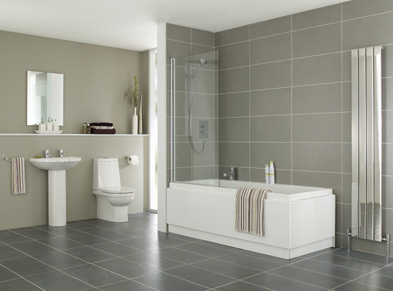 Our bathroom installation and design service can cater for everyone whether you want a family bathroom or an en- suite. 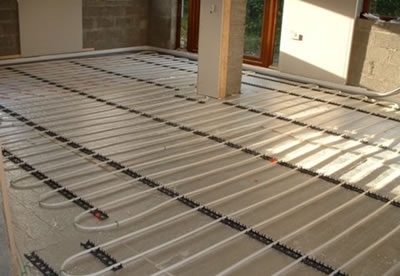 We can also install underfloor heating so that the bathroom tiles are warm under your feet after having a bath or shower. 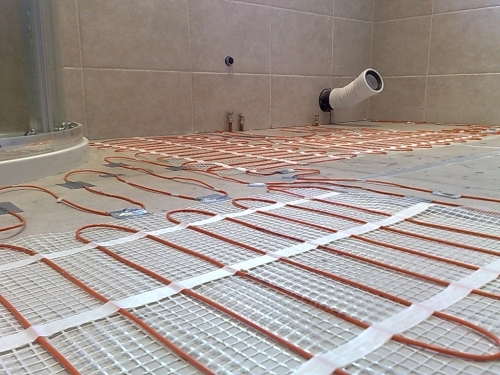 Underfloor heating creates a nice warm and cosy feeling in your bathroom and can make bathing a truly pleasurable experience. We can provide free quotes for all our bathroom installation and design service. Call us to book an appointment for one of our bathroom installation and design specialists to come and see what service you require. After this initial meeting we will provide you with a fixed price quote that will not change during the installation process. 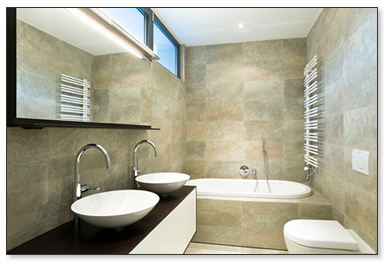 We will also explain the process involved in your bathroom design installation so that you will know what to expect. Corgi Registered 205483 Gas Engineers, We are registered with Gas Safe. If you are experiencing problems with your central heating systems we are here to help. 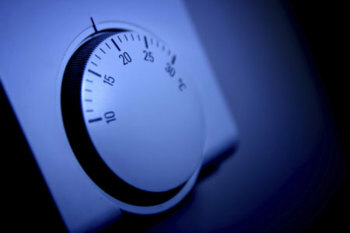 If your boiler is not producing efficient heating or hot water our engineers can help you. 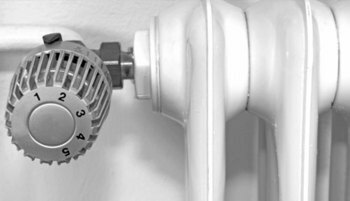 Whether the problem is with one radiator, a broken pump, valves you can rely on us to keep your home warm and your water hot. 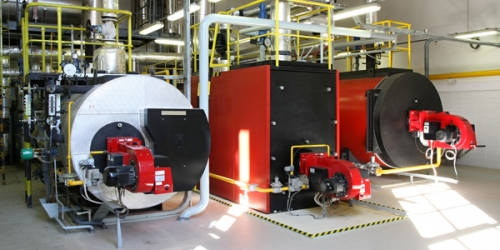 Our experienced central heating systems engineers can fix all types of boilers. 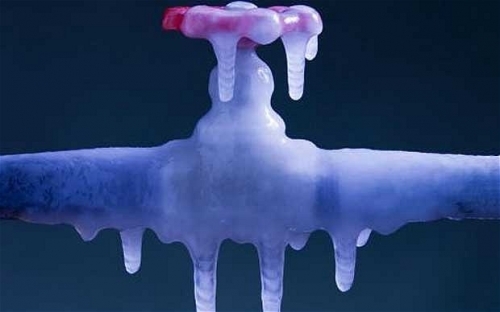 Our engineers can provide a same day service or 24 hour emergency repair to assist you so that your home is not left cold. Our central heating systems specialists will come and check your boiler and radiators and ensure that they will be working and be energy efficient. 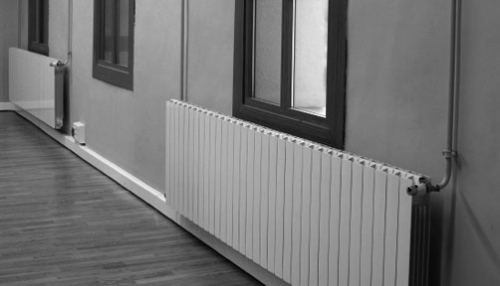 We can also carry out commercial heating maintenance and installations. 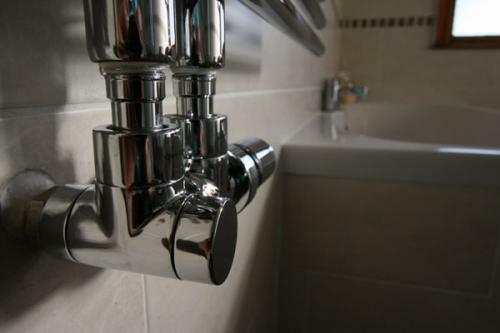 Whatever your require, such as the installation of radiant heaters or free standing warm air units, Fahrenheit Plumbing & Heating is happy to help. We can service any existing systems as well as install new ones, there is no property too large so don't hesitate to contact us for more information. These guys were recommended to me, and I can honestly say that I would recommend them too. Had a new boiler installed in one day. No fuss or bother. So pleased with the work done. definitely 5 stars from me. Just had the guys in to fit a replacement combi boiler. Can't rate the experience high enough. Friendly and helpful from the first phone call through to the finished and installed boiler. Everyone involved was a real pleasure to deal with and I'd recommend them unreservedly. Many thanks to all. After being let down by a number of plumbers, we found Fahrenheit online. A visit was arranged with the friendly and helpful office staff. 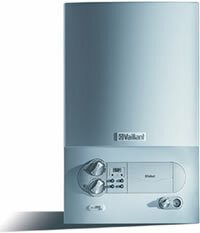 We received good advice on the way forward on the best type of boiler to suit our family. Ady and Carl arrived on time, started work immediately and were very hard working to get the job done. All of the waste was removed and everything was left clean and tidy. We are great believers that you pay for what you get and the standard of work, appearance and efficiency is of the highest quality and of excellent standards. 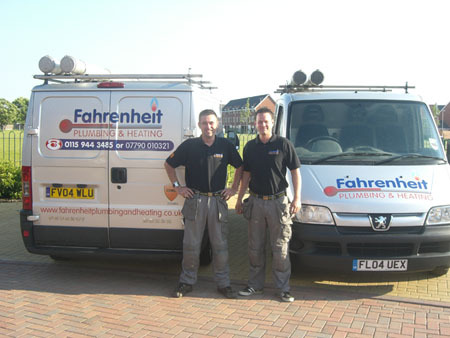 We would definitely use Fahrenheit again and would highly recommend this friendly, professional company. I would recommend the Fahrenheit team day and night. They have just installed a new boiler for us. We were very impressed with the work done and the care taken to do a neat job. The plumbers arrived on time got rid of all the old bits and cleared up afterwards. Thanks for the brilliant job done. I have a fairly complex design of heating in my two story property with two independent boils and systems. Having contacted Fahrenheit, having seen one of their vehicles in my village of Long Whatton, they provided me a knowledgeable, professional and competitive quotation to replace on of my boilers, and a different energy efficient programmable timer to both of my boilers and lots of other "pumping jobs" I haven't got around to or didn't have the skill to do. Fahrenheit did a great job, on the day promise, at the price promised (actually less than quoted due to not needing to do one aspect of the install), and I now have a long term energy, cost efficient system for the next ten years, at least. Thanks Ady and Carl. I have used Fahrenheit for regular boiler maintenance and emergency call out. They have always been reliable, arriving at the allotted time, even on the emergency call out, professional in all aspects and friendly and helpful. Will definitely keep using them. Recieved a boiler service from Fahrenheit for my Worcester bosh boiler, the member of staff was very friendly & very efficient. He arrived in the arranged time slot and ensured the work space was left clean. Would highly recommend Fahrenheit and will be using them again. Top Notch Bathroom Refit !!! Great job done by Karl, Adi and Martin. From ripping out the old suite, moving and bricking up the window, plastering and installing new suite and professional tiling, we couldn't have chosen a better company. Clean, tidy and pleasant lads, who for a plentiful supply of tea and coffee, will work into the early evening and Saturday mornings to complete the job on time. Thanks lads. Fahrenheit were actually sub-contracted to do some underfloor heating work on my house, so I was a little dubious, having not hired them myself. But I can tell you something, they did such a good job. I got their details (for future reference) and here I am now, writing a review. I recently received a quote from a well known major-league gas company (that work in Britain, hint hint) and was left stricken by the price of replacing my old boiler. So I shopped around some local installers and was more than pleased with the quote and finish of the job provided by 'Fahrenheit'! My new boiler works like a dream and Karl and Ady were great. The finish was beautiful and other than our house actually being warm for a change, you couldn't even tell we'd had work done. Thanks so much! Fahrenheit fitted a complete central heating system and combi boil which we are really pleased with. These guys cleared up and re-laid carpets and made sure everything was back in its place. Adie and Karl are so professional and friendly and I would highly recommend. We will be using Fahrenheit in future for other jobs. Also, thank you to Kelly for booking us in and getting us sorted. We have a nice and cosy warm house! After using several dodgy plumbers in the past i used touch local and read the reviews of fahrenheit !!!! - they are all ture and for once i am very pleased with the proffessional finish !!! i look forward to using them again. The best !!!! Fahrenheit recently installed a new boiler for us. We were very impressed with the work done and the care taken to do a neat job. The plumbers arrived on time and cleared up afterwards. Fahrenheit recently installed a central heating system for me. The service was excellent and the work to a very high standard. The aftercare has also been prompt. Highly recommended. I have just used these two guys to fit a brand new bathroom (jacuzzi bath) and shower. They were only a very friendly pair of blokes but they did an outstanding job. I got quite a few quotes and these guys offerd the full service at the best rate. Absolutley fantastic. I would never have even know someone had been in the house. They left everything clean and ready to use. All I had to do was get in the jacuzzi and turn it on. I would highly recommend them. A one stop plumbing shop!! I've never written a review on the internet however with the job these 2 guys did I thought it would be an injustice if I did not share my delight of their work with others. Having decided to have a new bathroom I contacted a number of plumbers looking for a complete installation & tiling service. Unfortunately there were not many who were interested to do both the plumbing and the tiling.....until I spoke to Fahrenheit who were only too happy to do the whole job. The new bathroom now looks a picture, I couldn't have asked for a more professional job. The job was done with minimum fuss, the guys were very clean and I agree with the one of the other comments about the tea!!!! As a result of the quality of their work a neighbour has arranged for them to do their bathroom. Thanks again & by the way I'm still loving the decorative radiator!!!! Having recently fitted a new bathroom for me I saw what true professionals the Fahrenheit team are and the brilliant service they provide. Finished right on time as well! The most fundamental part is the competitive prices, 100% value for money! I have them pencilled in to fix my central heating for the cold winter ahead, I recommend anyone else to do the same! It is difficult to choose one company from the listings in Yellow Pages etc, this is why most people try to go by referrals and I guess reviews like these. I don't usually send in reviews like this but these guys just stand out from the crowd! They put in our new bathroom, Combi boiler in the loft and helped with the new kitchen installation. There was a lot of work here and most of it needed design input and problem solving from the guys, it wasn't just a straight forward installation job. I was very impressed with the way they sorted everything out quickly and professionally. On time, in budget everything works brilliantly and efficiently and no leaks!! Plenty of cups of tea is the secret here â€“keeps em going all day! i was worring about what system to have intstalled in my house, fahrenheit came round and gave me some great adviced and carried out a fantastic job. i would recommend to everybody ! wounderful job on my bathroom fahrenheit . very neat and tidy and even saved me money . thanks , will for sure use you again !!!! I got fahrenheit's number from this web site touch nottingham. i had my boiler and fire serviced with them and they did a great job! on time and very nice guys. I am now having a new bathroom fitted by them. They are very tidy workers and my bathroom is looking great. Would recommend fahrenheit to all my family and friends. We were recommended to use Fahrenheit by a friend who had a new boiler fitted. We asked them to fit a new heating system.. They were there early everyday and stayed till late to get the job done. They made little or no mess and always cleared up after themselves. We were so impressed with their service we had them back recently to replace our kitchen and bathroom, and an excellent job they did too. Thanks guys. my friend had a boiler fitted with fahrenheit and was really pleased with the price and there fantastic standard of work so she passed on there number. There service was great , on time , neat and tidy and did a wonderful job. my house is now lovely and warm and i have hot water... when i want it without waiting , its great. i would really recommend anybody to use fahrenheit as they are really competant and it was a pleasure having them work for me. thanks again boys!!!! 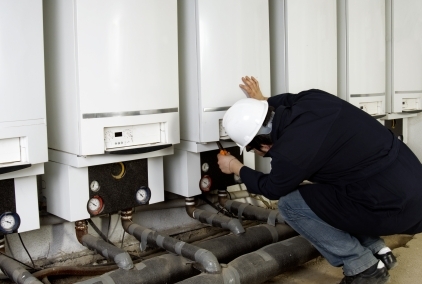 If your boiler breaks down, we can assess the fault and if a repair is needed, this will be completed quickly and efficiently. 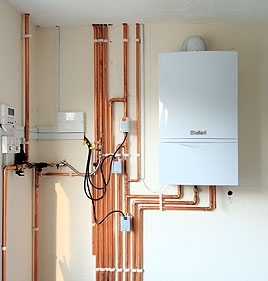 If a replacement boiler is required, we can swiftly remove and install a new boiler. We offer a full Bathroom installation and design services, from traditional Victorian designs to contemporary wetrooms. 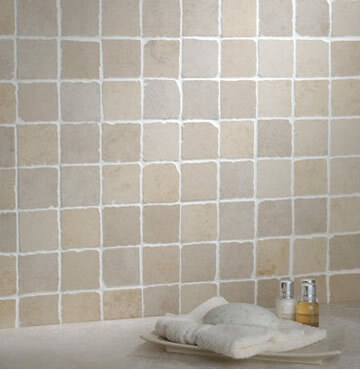 We will take care of the whole project from start to finish including Tiling and Electrics. 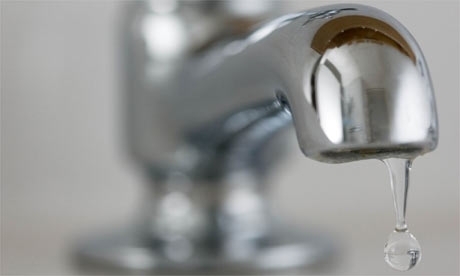 We offer a full wet plumbing service including Burst Pipes, Leaking Taps, Blocked Sinks & Toilets, Plumbing of Domestic Appliances and Drain Unblocking. 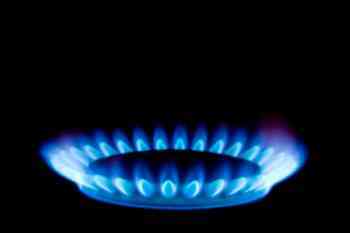 As your fire is a gas appliance (LPG or natural gas) you must only have Gas Safe registered engineers working on or installing them. 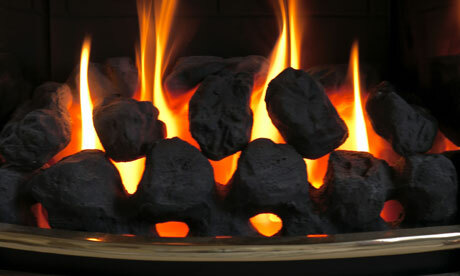 We offer a full installation, service or repair service on all types of Gas Fires.